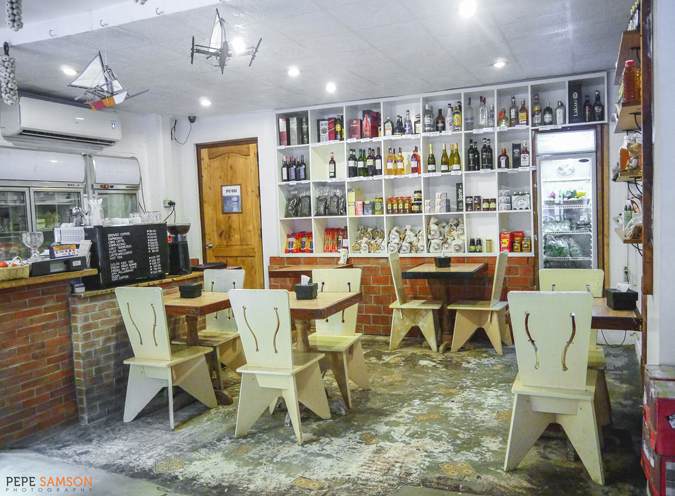 In a thriving destination like Boracay, putting up a business can be a big challenge. With the thousands of tourists flocking the island on a regular basis, the beach crowd is spoiled for choice—and whether or not these options are good and worthy of our attention, the fact is that one must stand out, in whatever aspect it chooses, in order to survive. 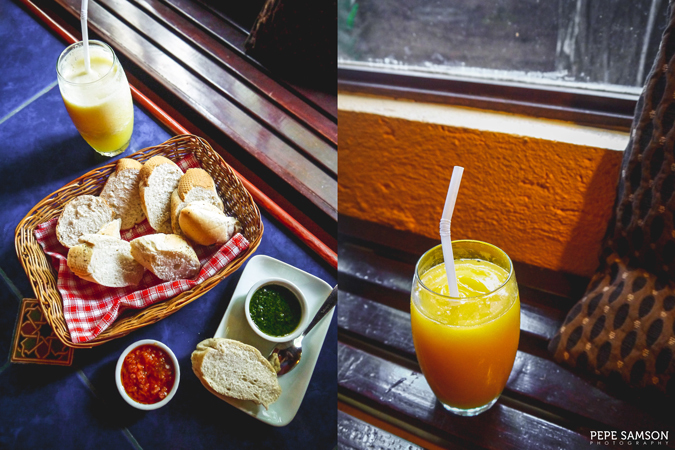 Sometimes perfection doesn’t count, especially since most tourists would choose to go to the nearest and cheapest dining venue, and then move on with their plans for the day. 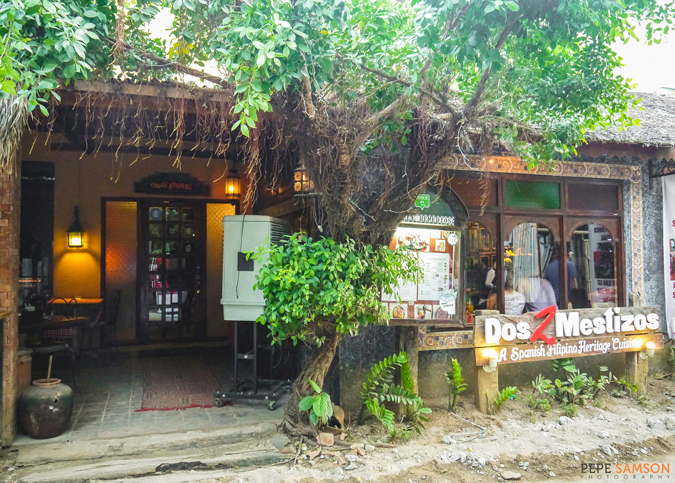 But when I met Dos Mestizos Spanish Restaurant in Station 2, my personal beliefs were reinforced: I travel for great food, and I always will. 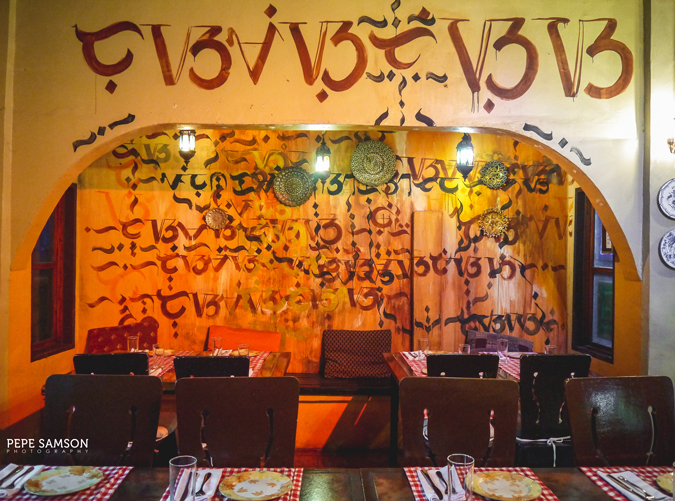 This rustic restaurant serving up Spanish Filipino heritage cuisine has been alive for 13 years. Imagine the trials it has withstood; the sum of people it has fed and made happy; the number of Laboracays it has witnessed; and the count of pigs it has sacrificed for foodies to enjoy a mean cochinillo. 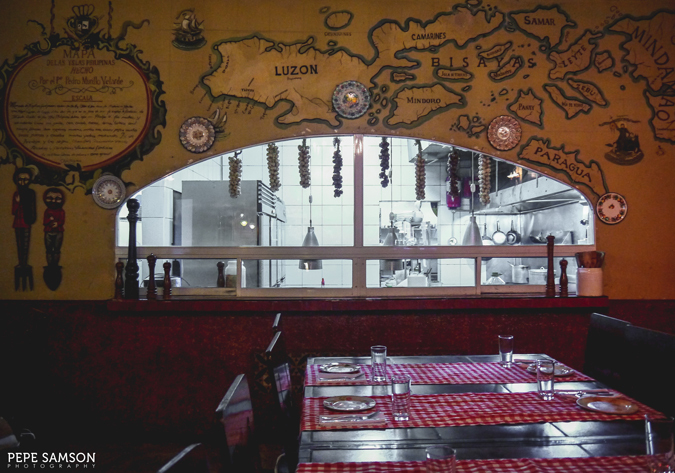 The length of time it has been operating is no small feat for a place like Boracay, and once you get your first forkful of their paella, you will simply nod in understanding as to why they have stayed up this long. 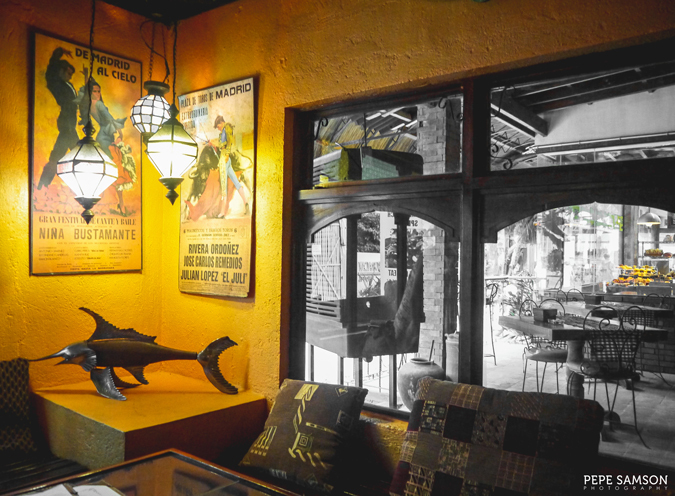 Dos Mestizos’ interiors is not only rustic but also homey—a trove of memories laid out in plain sight by the owner Jose Carlos ‘Binggoy’ Remedios and his departed friend Ramon Nieto. Stepping into its charming space reminded me of the first time I set foot in Bellini’s. 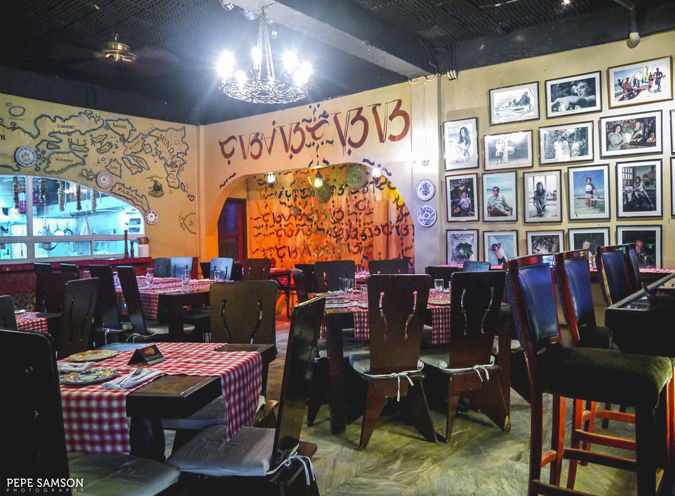 The dining area is dimly lit, with walls decorated by paintings, frames, plates, and calligraphy. Checked tablecloths bedeck dark wooden tables, and chandeliers and overhead lamps complete the drama. 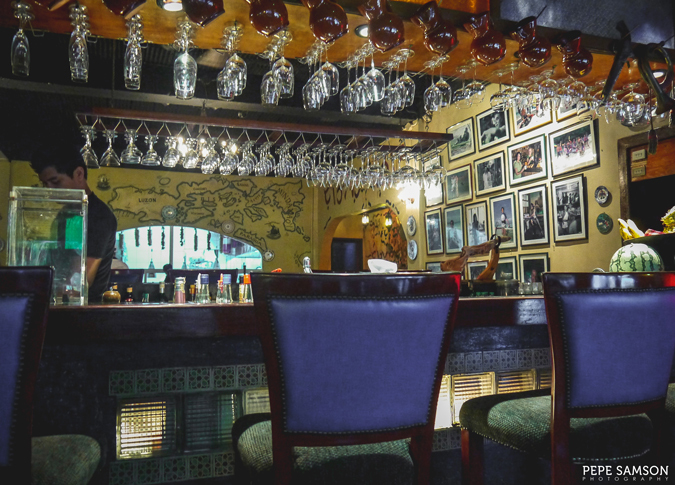 The bar sits at the center, boasting of impeccably arranged glassware and liquor bottles. 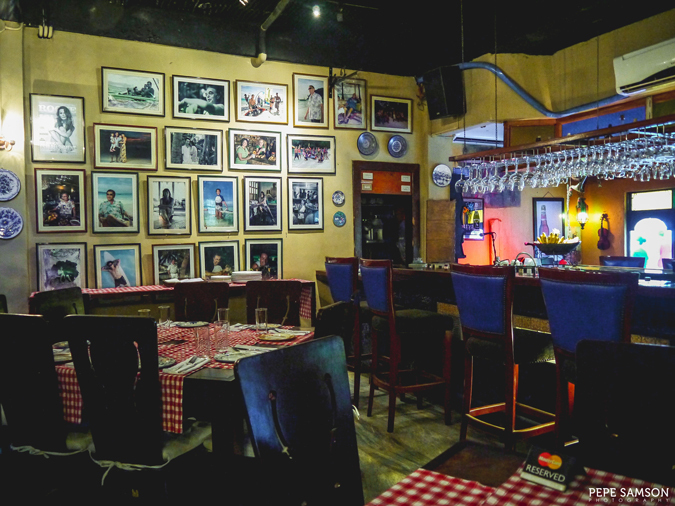 It hides a smaller area with a view of the street outside, and here, one corner is dedicated for the musicians who regularly play in the restaurant and regale guests with calming jazz and Latin music. I loved the mismatched pillows, colored panes, and rugged flooring in this space. 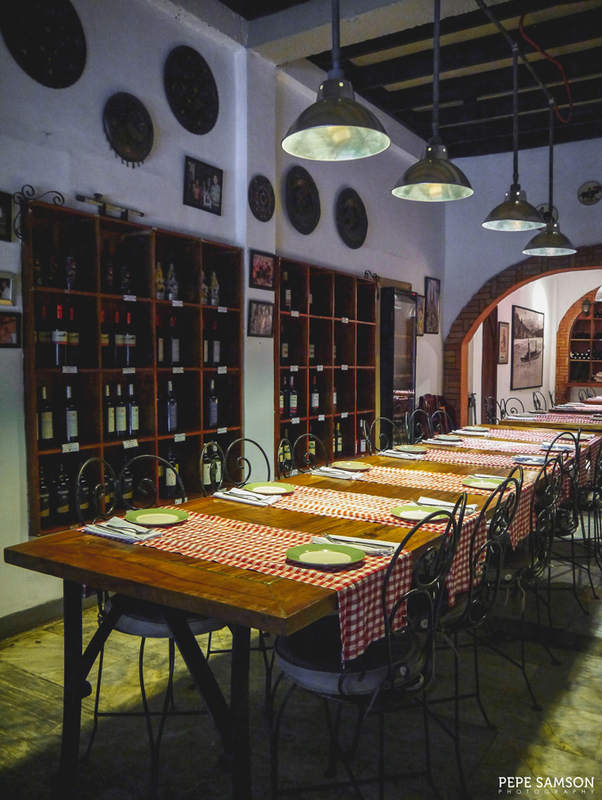 A more intimate section is the Bodega, which can accommodate around 16 people and which showcases Dos Mestizos’ impressive wine selection. 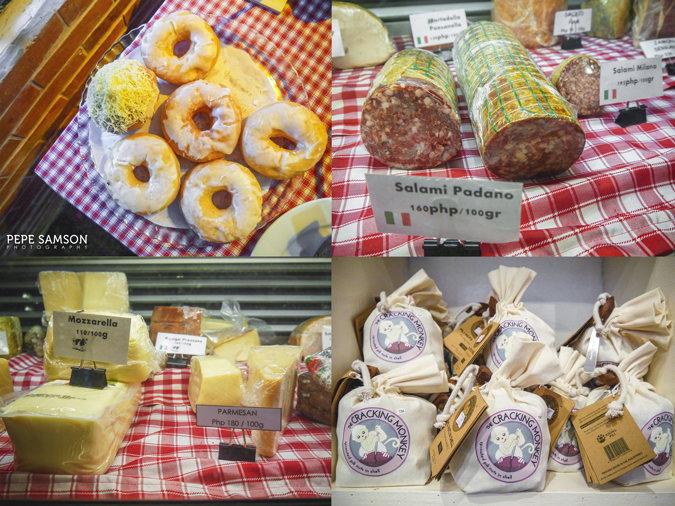 Still beyond is their deli, Gusto Y Gustos, tempting passersby with delicious displays of freshly baked donuts, cakes, breads, home-cured meats, cheeses, and pasalubong items. The chef himself, Chef Andre, approached us as we were waiting for our tapas, and pointed out the best items in their menu. He told us how they keep their own organic farm to sustain the restaurant—supplying most of their greens, herbs, and poultry. Almost everything is made from scratch, and every dish is a family recipe which has been passed down from older generations. While waiting, we were served some complimentary crusty bread, which we demolished in a matter of seconds—owing to the tomato salsa and pesto dip it was served with. We asked for another basket. 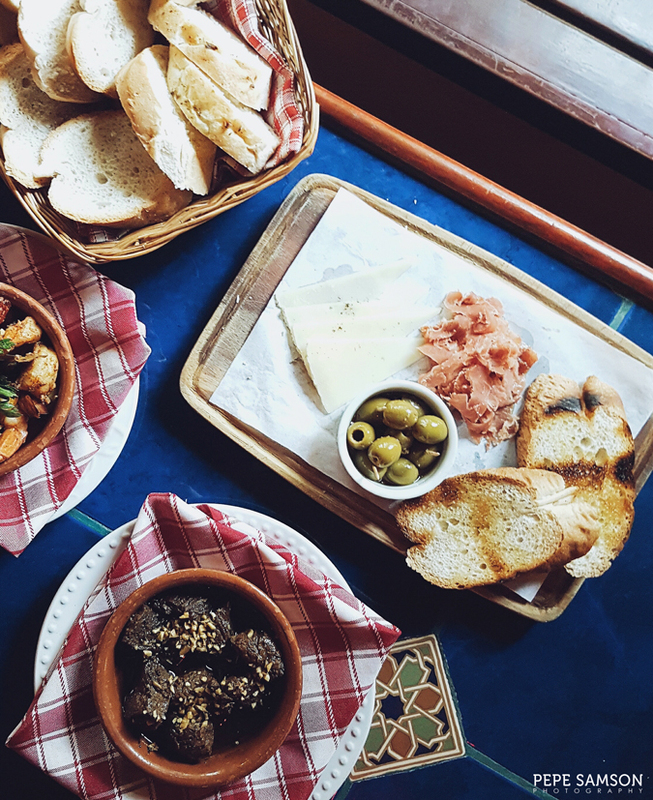 Shortly thereafter, our tapas came, and our stomachs growled even louder. 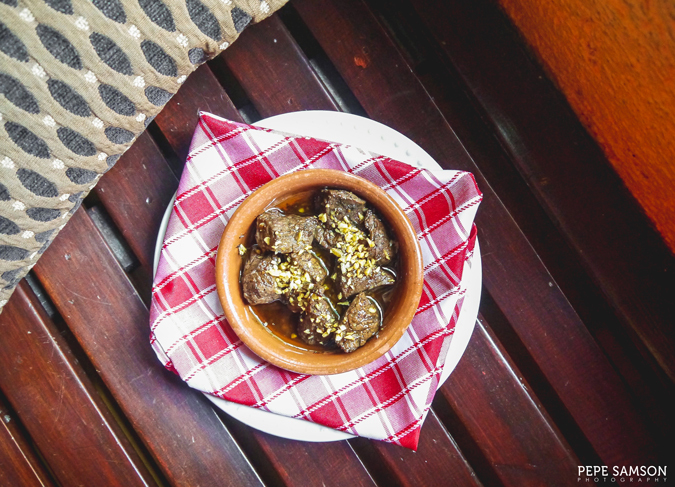 The Salpicao de Vaca (PhP330) is a solid starter—tender USDA beef cubes in a delicious garlic marinade. The meat was soft yet still nicely chewy, the garlic not overpowering, as other salpicaos tend to be. This is one of the best versions I’ve ever tasted. 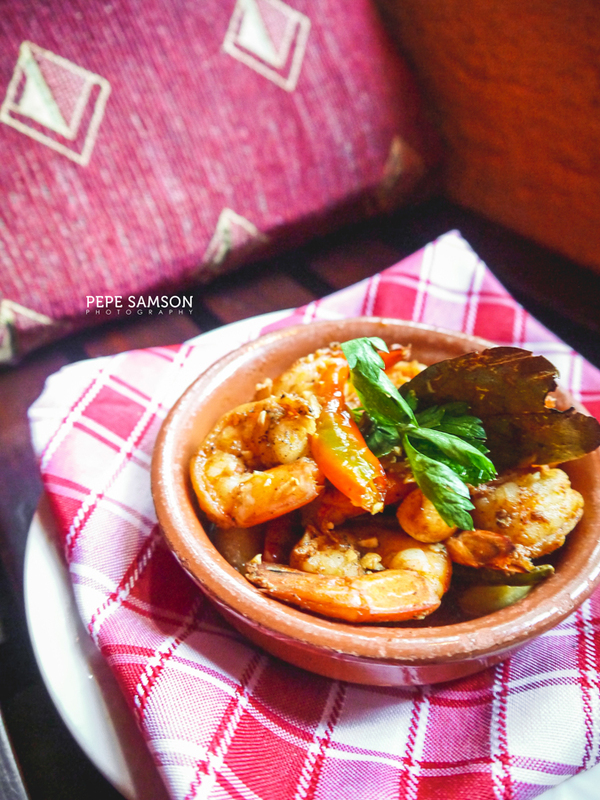 If you love shrimp (I know you do), the addictive Gambas al Ajillo (PhP305) is a must-try: fresh shrimps sautéed in olive oil and garlic. A dish as simple and easy-to-make as this can be easily messed up as well, but Chef Andre seemed to have mastered the art of balancing flavors. The shrimps were not overcooked and still had that firm bite, and the chilies gave them an added kick. For a light starter, get the Jamon and Manchego Platter (PhP330), which is laden with aged manchego, olives, and homemade jamon serrano. The next time I visit Boracay, I will definitely order more of this plus some wine. If you happen to be in the island on a Saturday, catch Dos Mestizos’ tapas buffet so you can indulge in unlimited servings of salpicao, gambas, manchego, jamon serrano, calamares, callos, albondigas, and many more! 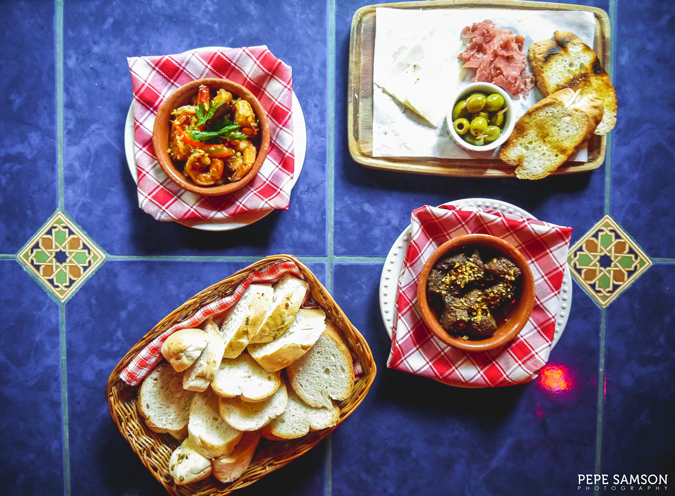 They usually offer 12 to 15 kinds of tapas—an awesome deal at PhP990! I usually wouldn’t order lengua, but I was curious to try Dos Mestizos’ rendition. 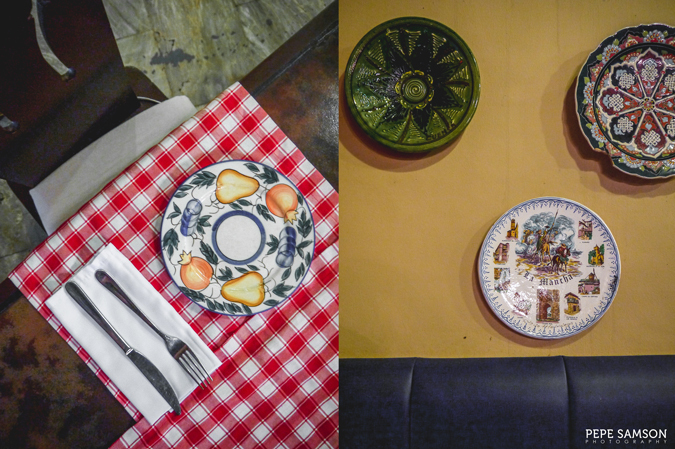 The Lengua de Vaca (PhP820) did not disappoint—in fact, it even exceeded expectations. The slices of braised ox tongue were ultra-soft, not slimy like others yet still glided in the mouth. 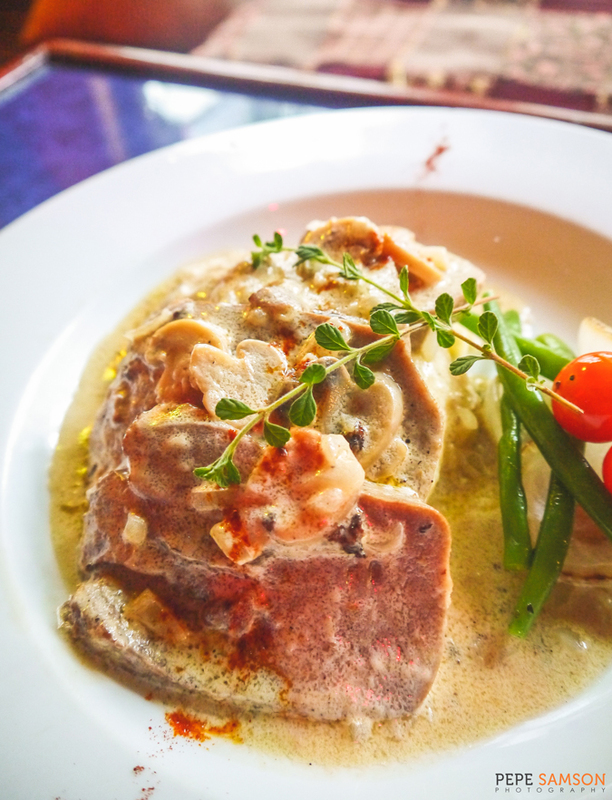 The salsa blanco with white mushroom sauce did not overwhelm, complementing the lengua just right. This dish might have made a convert out of me. 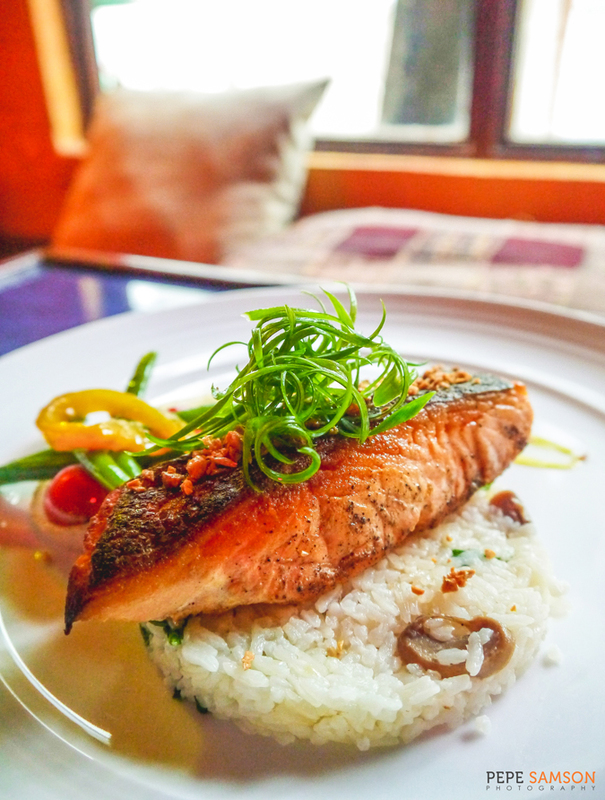 The Salmon con Crema de Azafran (PhP760) is another stellar dish, featuring perfectly seared, moist, and flaky salmon on top of delicious mushroom rice, served with saffron cream. The crisp skin was stunning. At this point, I was beginning to wonder if Chef Andre is capable of serving something bad. Of course, no Spanish meal is complete without paella so we made sure to order one from the restaurant’s 5 selections. We opted for the Paella Negra (PhP820 small, good for 2-3), which, in one word, was divine. 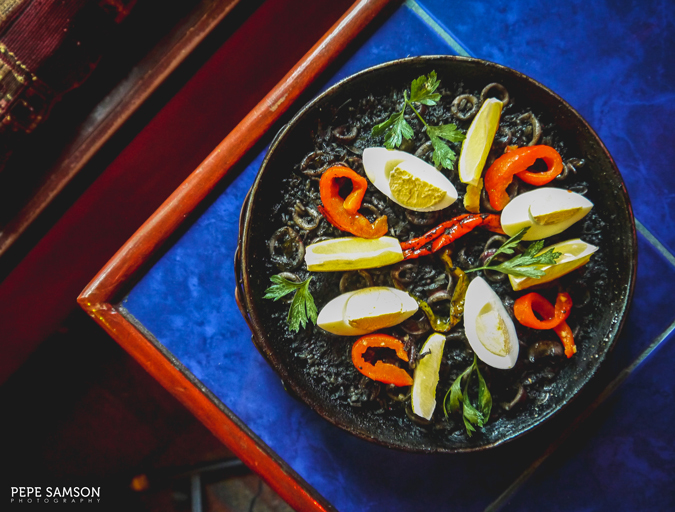 Cooked in fresh squid ink, the Spanish rice was slightly salty, scrumptious, and balanced—neither overpowering nor short of flavor. The texture was perfect, the toppings generous. It comes with garlic aioli and slices of lemon to cut through the brine. A must-order, and something I would definitely come back for! They ran out of ducks when we visited but when I come back, I’m definitely trying their duck confit. Orders for the cochinillo (suckling pig) need to be placed one day in advance, so yeah—maybe next time too! 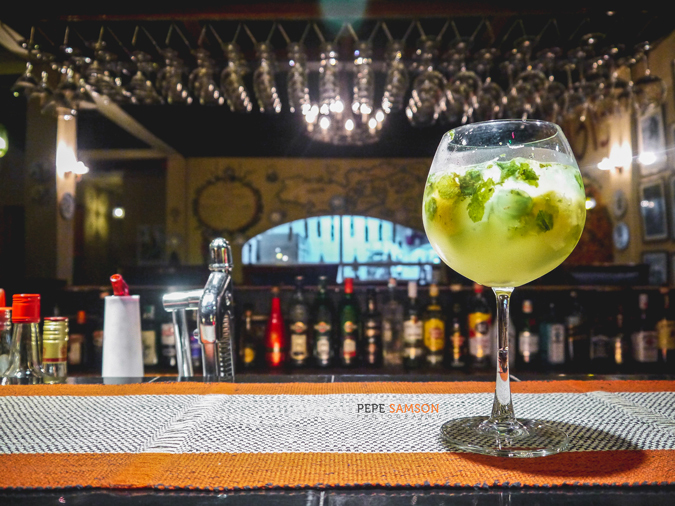 We lingered a bit more for cocktails and I must say that I enjoyed their potent Mojito (PhP180). Chef Andre stepped out of the kitchen to ask how our meal was, and even told us about his favorite spots to drink and hang out in the island. I really appreciate how he pointed us to the cheapest and best places—most restaurateurs would just say, “Come back to our restaurant”. Chef Andre’s manners radiated of pure confidence—it was as if to say, go eat and drink somewhere else, but we’re here to stay. 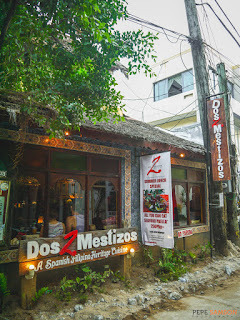 And I have no doubts that Dos Mestizos will continue to be here for a long time. 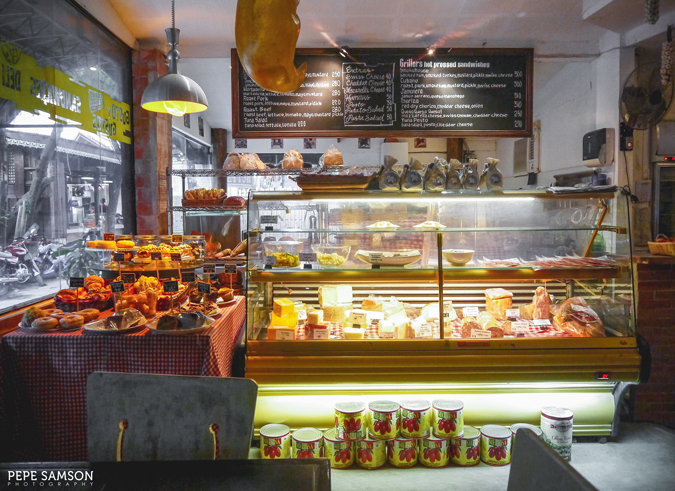 Their food can beat the crap out of some of the top Spanish restaurants in Manila; they have a winning ambience; and they have a passion for food that seeps through every fiber, strand, drop, and grain of their meats, sauces, and paellas. 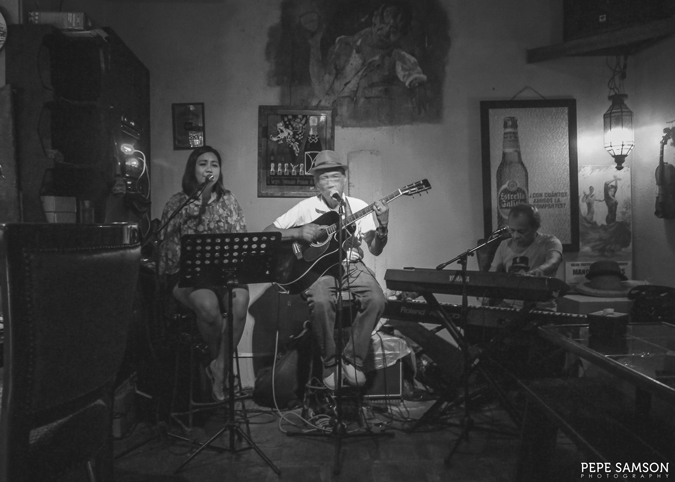 I may not have met the two mestizos who gave birth to this Boracay gem, but I am happy to have tasted their legacy. 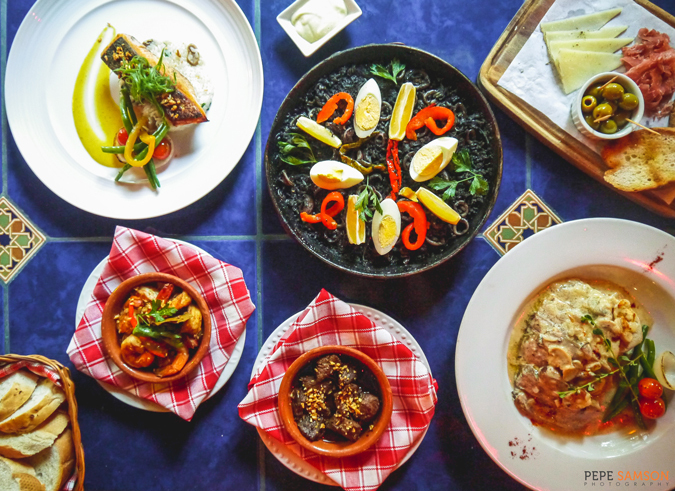 Do you love Spanish food? 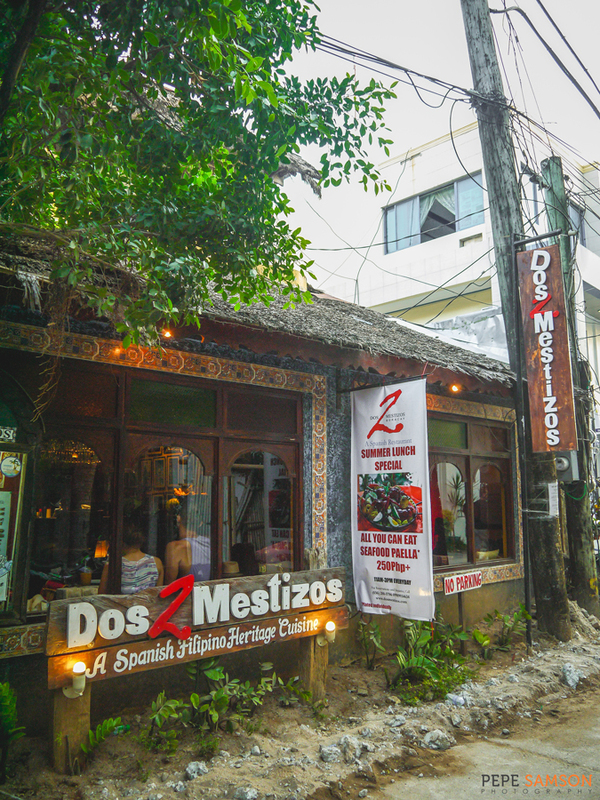 Have you tried Dos Mestizos in Boracay? My meal was sponsored by Dos Mestizos. All opinions, however, are my own.